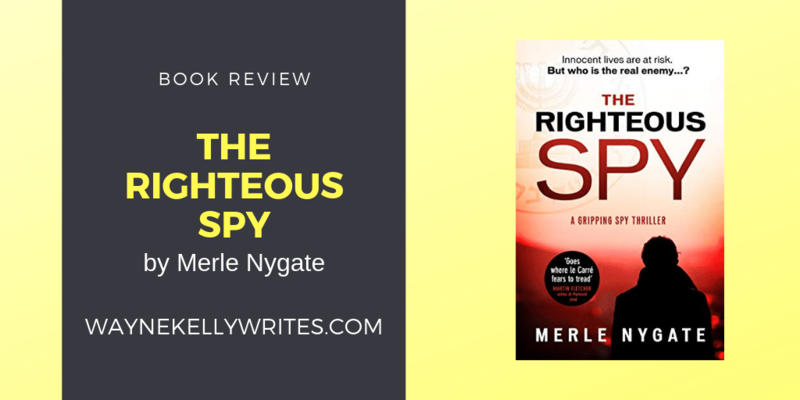 In preparation for an upcoming episode of The Joined Up Writing Podcast, an interview with author, Merle Nygate, I read Merle’s espionage novel, ‘The Righteous Spy’. I enjoyed it for a number of reasons and what better way to end the year than by sharing a positive review and suggesting another novel to add to your list of books to read over Christmas? Not the usual tale of British or American intelligence services . . . Most western thriller writers understandably tend to focus on the CIA, MI5 or MI6, but although much of ‘The Righteous Spy’ takes place in the UK, it centres around a covert operation undertaken by the Israeili intelligence service – Mossad. This gives the book a fresh take and introduces us to Eli Amaram, Mossad’s best spy runner, tasked with pulling off a risky mission on British soil, despite being paired with a confident but maverick colleague, Rafi. Eli takes one of the three perspectives, with the other threads of the story being told by two strong female characters – a seemingly radicalised Palestinian woman and Petra, a freelance British agent. I spy modern espionage . . .
Aside from die hard fans of this classic genre, many readers associate ‘Espionage’ with dimly-lit rooms, sparse coded dialogue, labyrinthine plots and middle-aged Oxbridge-types. Whilst I love classics like Le Carre’s ‘Tinker, Tailor, Soldier, Spy’ (especially the most recent film adaptation), I’ve always preferred the more down-to-earth, gritty style of Len Deighton. ‘The Righteous Spy’ is full of intrigue, spycraft and many of the elements you might look for in the genre, but it definitely feels closer in tone to the exploits of Deighton’s Harry Palmer. Characters are three dimensional and flawed. The dialogue is sharp and authentic, without over-doing the dialect or Hebrew phrases. Well researched yet pacey . . .
It’s obvious Merle has thoroughly researched her subject and the wider intelligence comunity, but she doesn’t overload the reader with terminology and – most importantly, for me – she never allows it to slow down the story, which is fast-paced and a great example of the ‘come in late, get out early’ school of scene-writing. Merle’s background is in writing for the screen and it shows in the way the narrative zips along and builds to a thrilling climax. All in all, a great read. I recommend you grab a copy now and I’ll post a link to Merle’s interview when it airs in January. While you’re here . . . want another free short story? As it’s Christmas, I’m giving away another FREE short story to those of you who subscribe to my newsletter. Existing members will already have ‘Shell-like’, a creepy tale I released for Halloween, but now I’m sending out a dark little crime story, ‘One Of His Favourites’. If you’ve already signed-up, fear not, the story is on it’s way, but for new readers – just click here to sign up to the newsletter and you’ll be able to download both stories for free. You’ll also get regular news on my writing projects as well as more help and advice of creativity and writing. So, I’ve given you one of my book recommendations, but why not return the favour and share some of your suggestions in the comments below or leave a link to your favorite reviews? You can listen to Merle’s Joined Up Writing interview over at the website, subscribe to the podcast on iTunes or listen on Spotify.